Soup is such a dinner staple at our house, and I love to come up with new combinations! On nights we don’t feel like eating meat, I love to turn to beans as a good source of protein. 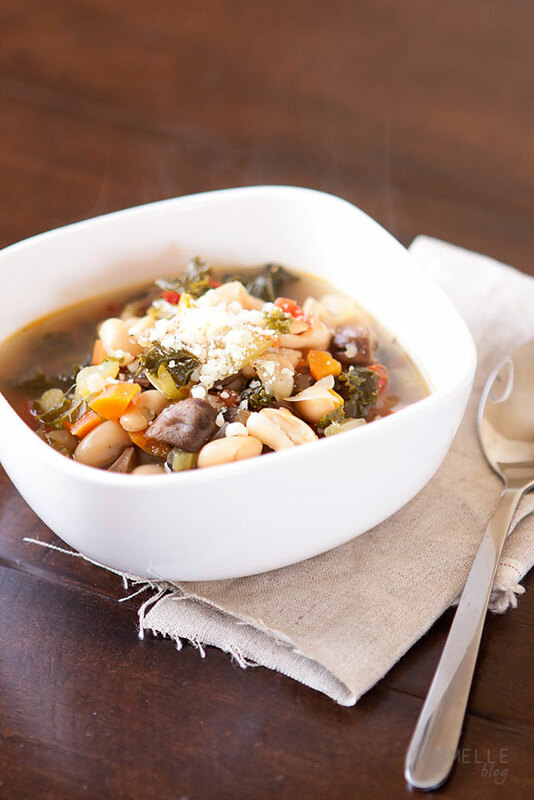 White beans are great in soup, and they make it very hearty, so you could easily eat this soup for dinner! In a large stock pot heat olive oil over medium heat. Add onion, carrots, mushrooms, celery, and sauté for 10 minutes, stirring. Add garlic, and zucchini squash, and stir for another 3-5 minutes. Add broth, along with the remaining ingredients and bring to a boil over medium high heat. Reduce the heat to medium low, and simmer for 30-45 minutes or until the vegetables are tender. Add shredded parmesan cheese before serving.